No one knows how capes magically appear on the kids of Cape City, but it happens the moment they do feats of awesomeness. These cape-wearing dynamos are called…Caped KIDsaders! What is THIS!!?? Preston wakes up ready to rock winter break, and instead he wakes up sick. This was NOT the plan. Especially when he’s expected to down the ol’ insult to injury – MEDICINE. Nope. Arms crossed, mouth pursed, a bevy of whimsical why-not’s to follow, with Preston as the poet with pride and principal – medicine is not for him. No. Thank. YOU. BUT. Something changes when he catches a glimpse of what he could be doing. Empowered by the will to well, Preston takes his medicine by the bullhorns, drinks it down, and valiantly charges outdoors in a raucous reunion with his pals. Relatable, repeatable, and rejoicing in the spirit of children, this book is a tribute to all that kids are CAPE-able of. With or without their capes on. 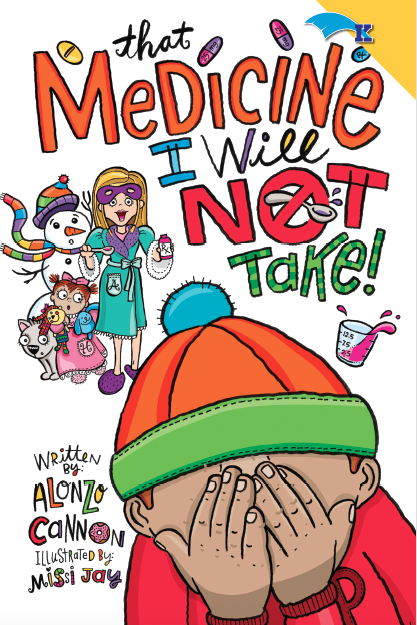 Through our Caped KIDsader programs, we donate a copy of That Medicine I Will Not Take! 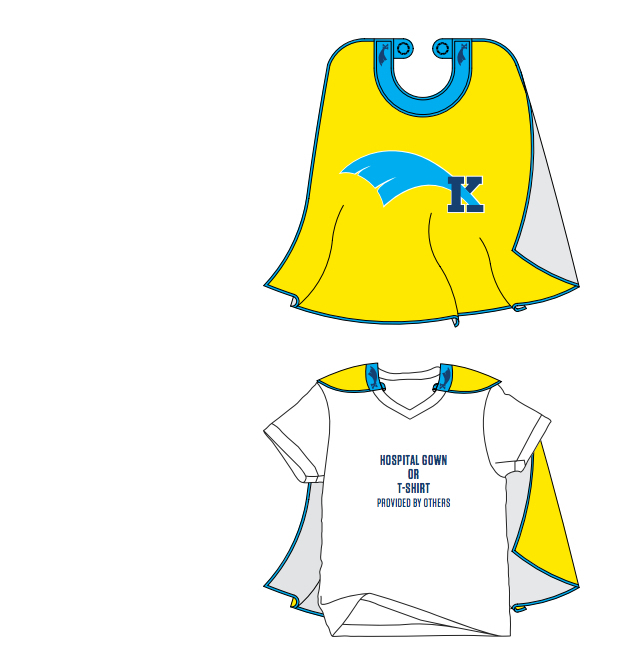 to kids in children’s hospitals, along with their own personal KIDsader cape to wear during their hospital stay and to keep after they are discharged. By promoting a sense of independence and empowerment, the book demonstrates how rewarding it is for kids to evaluate their circumstances and make choices that allow them to take control of their own destinies. As it pertains to kids in hospitals, it encourages them in their struggle and empowers them to conquer the health obstacles that stand in their way. Kids, when they wear a cape, feel that they can run faster, jump higher and perform superhuman feats. That can also include getting better and feeling better and doing things required of them in the hospital that they would really rather not do or feel they can’t do. It is the Foundation’s desire to help kids by way of fostering bravery and fearlessness as they take their chemotherapy, undergo a transplant, combat a disease, endure physical therapy or go into surgery to repair their broken bones. The superhero feeling they will get from the donated items will help them feel powerful and “cape-able” of beating whatever is ailing them. In addition, capes will be given to hospitals for their team of doctors and nurses to wear, creating an empowering atmosphere for the children that is free of fear and full of hope. It is our belief that not only wearing the cape themselves, but seeing other children and hospital staff also wearing capes will promote a sense of camaraderie that will turn the loneliness and isolation that commonly result from a hospital stay into a powerful sense of community, transforming an intimidating hospital setting into a magical fortress that houses the bravest superheroes in the world.